Investment Savings Bank offers customers VISA Credit Card that is linked to your existing ISB account. 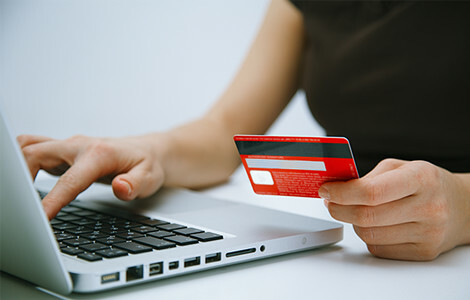 The VISA Credit Card is recognized throughout the industry as a secure way to make purchases. ScoreCard Rewards on all new accounts. Dedicated Customer Service Staff and Resources on a 24/7 basis. Customer Service based in the United States. * Coverage applies when the entire cost of the fare (less redeemable certificates, vouchers, or coupons) has been charged to the card. Your account must be in good standing. Restrictions to coverage may apply. 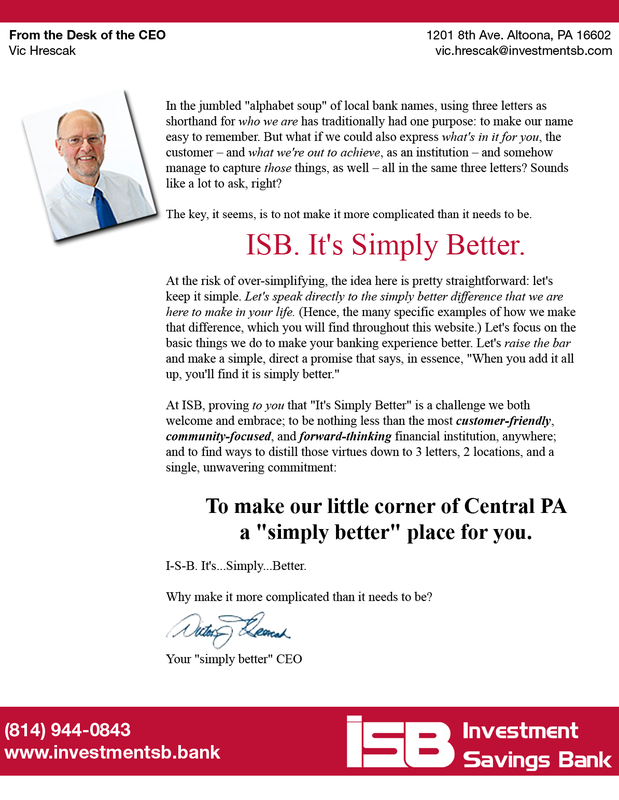 ISB offices in Altoona and Duncansville offer customers the VISA Credit Card for greater personal lending flexibility. You may never use the purchasing power, but it is good to know you have it ready for when you do have an emergency or need to make an important purchase and do not have the cash on hand. The VISA Credit Card may come in handy for travel emergencies, repairs, and more. The ISB banking professionals can answer your questions about VISA Credit Card and how you may qualify.